HiRain Technologies, an electronics supplier for the Chinese automotive market, and Israel-based LiDAR startup Innoviz Technologies Ltd. announced on Wednesday a partnership to market Innoviz’s technologies in China. Through the partnership, Innoviz’s LiDAR products will be offered as part of HiRain’s extensive offering in the country. Innoviz CEO Omer Keilaf told Calcalist Wednesday that the company intends to launch an office in China, and later a manufacturing facility. LiDAR is an imaging technology that uses lasers and sensors to measure distances between objects, creating 3D representations of the surrounding environment. Innoviz develops and markets low-cost, small-size LiDAR systems designed to enable the mass commercialization of autonomous vehicles. 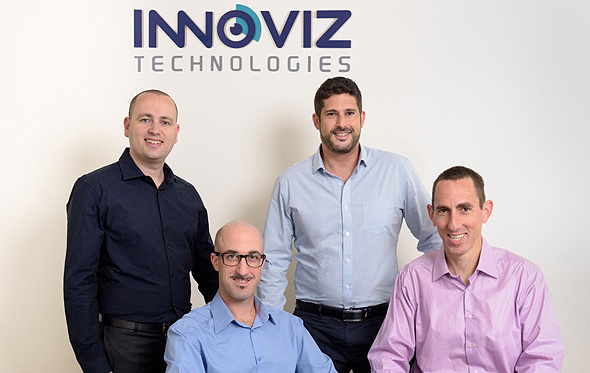 Founded in 2016, and headquartered in Israel, Innoviz raised $82 million in investment from backers including Delphi Automotive, Magna International, Samsung Catalyst, and SoftBank Ventures Korea. The company employs 150 people. The company’s automotive-grade LiDAR, InnovizOne, is set to become available in 2019. In April, it was selected by BMW for series production of its autonomous vehicles starting in 2021. Founded in 1998, HiRain supplies automotive electronic products to automakers. The company is headquartered in Beijing with offices across China, the U.S., and Germany. “China is helping lead the way towards the autonomous vehicle future, and HiRain is one of the most influential companies in the Chinese automotive industry. Last year, around 26 million vehicles were manufactured in China,” Mr. Keilaf said in a statement.